Found this beauty recently. 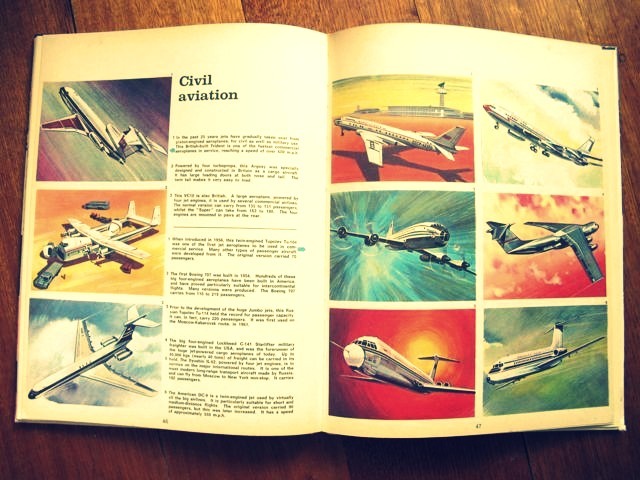 Published in 1974 and it's in pretty good condition. 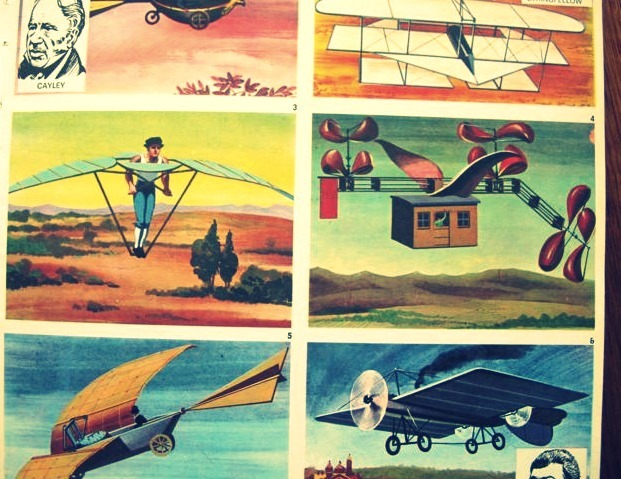 It starts with the myth of Icarus before covering 'flying machines' of all kinds: parachutes, gliders, hot air balloons, helicopters and commercial aicraft. Much of it is military stuff though - famous air battles, famous fighters and bombers etc. 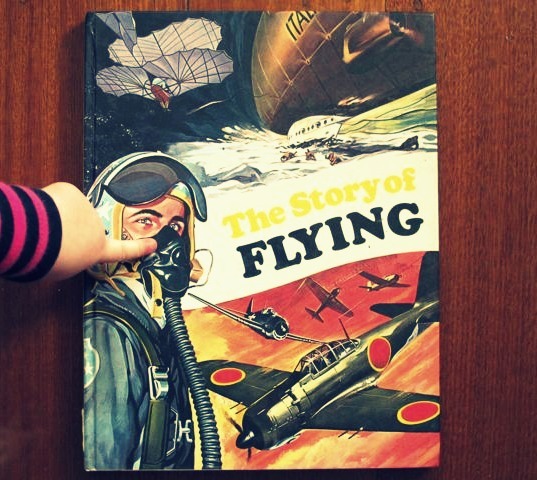 And it's very much a 'boy's own' history of aviation...aherm, Amelia Earhart anyone? 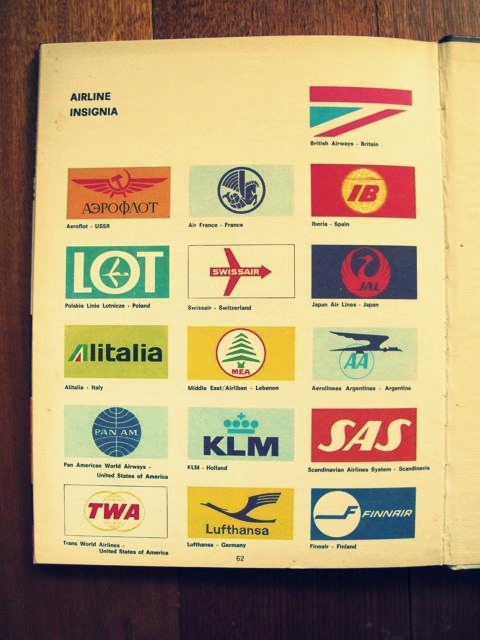 Love the last page of Airline Insignia though - so old school! Hmm, keep or cut up for bunting? What do you think?